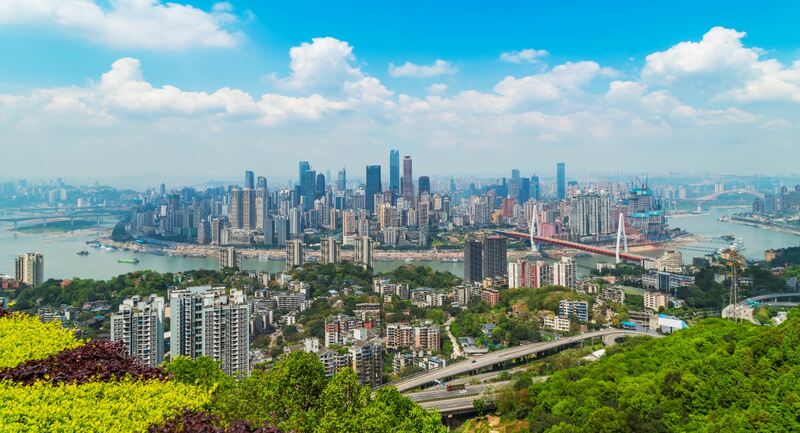 Chongqing is strategically positioned as a gateway to China’s west, a key connection in the Yangtze river economic belt, and a strategic base for China’s belt and road initiative. Over the past two decades, Chongqing has faced significant challenges, including the resettlement of over 1 million people and numerous enterprises due to the construction of the Three Gorges dam. If the past two decades can be characterized as a period during which Chongqing was catching up with other major Chinese cities, the coming two decades will be a critical period for Chongqing to make another leap. Chonqing 2035 envisions a green and livable global city which is a hub for advanced manufacturing and knowledge intensive services, and a base for broader ASEAN regional development that offers opportunities for all. This map was produced by the Map Design Unit of The World Bank. The boundaries, colors, denominations and any other information shown on this map do not imply, on the part of The World Bank Group, any judgment on the legal status of any territory, or any endorsement or acceptance of such boundaries.